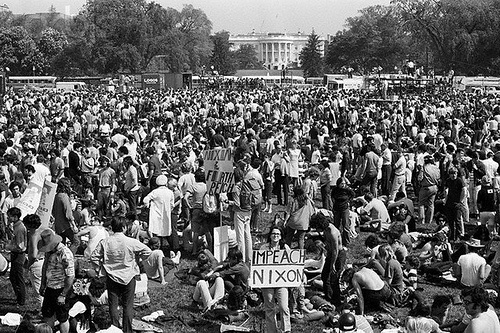 We’re in a new era now that may end up reflecting the activist days of the 1960s and 1970s. It’s a time for all those of conscience to get up and stand up against those who threaten the America, democracy and civil rights we have and believe in. So this weekend’s music thread is about protest, political and social issue songs, from the 60’s, 70’s and right through today. It’s your turn now to get up and stand up, starting with your favorite selections for a soundtrack for La Resistance!